On Sale Now! 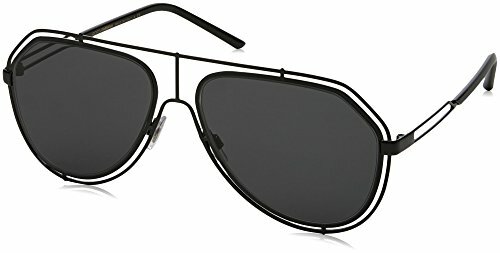 Save 4% on the Dolce & Gabbana Unisex DG2176 Black/Grey Sunglasses by Dolce & Gabbana at Sunglasses For Women. MPN: 0Dg2176 31778. Hurry! Limited time offer. Offer valid only while supplies last. Dolce and Gabbana DG2176Dolce & Gabbana presents a statement aviator, boasting of a double metal frame for the lenses that gives that loud style.